Over the weekend, I a made pit stop into the 3D Print Show taking place in the Chelsea Gallery District and got a quick but eye-opening crash course in what this phenomenal technology is all about and a sneak peak at the best affordable 3d printers that are about to hit the market. It’s amazing how these objects are made! 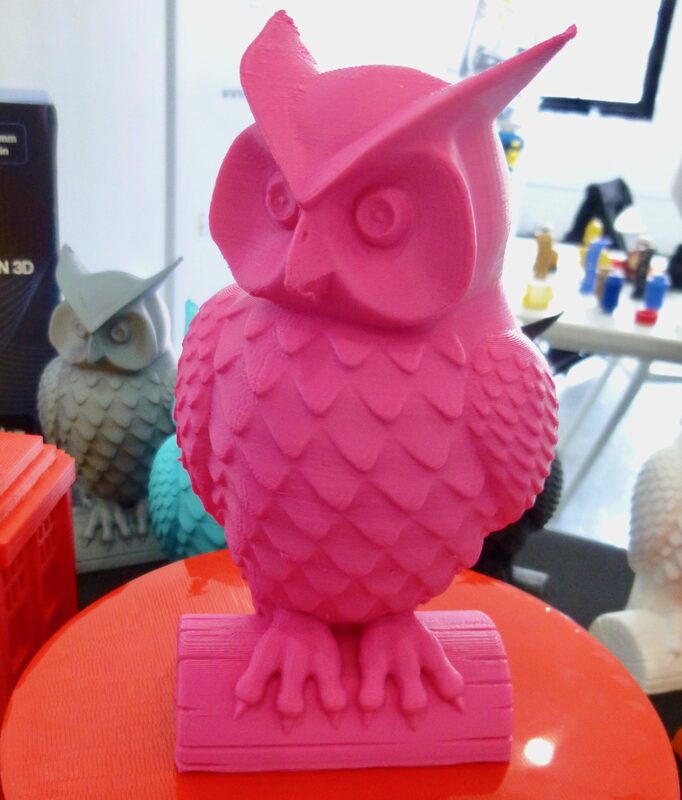 Anyway, here’s a Pink Owl I took a photo of.